Once a routine part of professional wrestling, managers have seen their once-pivotal roles gradually become extinct in the sport’s modern era. While figures such as Bobby “The Brain” Heenan, Jim Cornette, and Captain Lou Albano previously held the distinction of acting as smarmy mouthpieces for many of wrestling’s most esteemed characters, eventually, the available jobs became increasingly scarce as a new generation of wrestlers learned to embrace promotional interviews, or promos, thus virtually eliminating the need for storyline spokespeople. They didn’t disappear completely, however, as the representatives instead have oftentimes been repackaged in recent years as “advocates” (Paul Heyman for Brock Lesnar), “hype men” (Lio Rush for Bobby Lashley), and even “personal ring announcers” (Ricardo Rodriguez for Alberto Del Rio). One of the game’s latest players, Salina de la Renta, is continuing this trend, as she is quick to correct those who place the manager moniker on her, preferring to say she “showcases premiere Latin talent.” But whatever you call her, one thing’s for sure; the up-and-comer is steadily establishing herself as a force to be reckoned with in the world of wrestling. 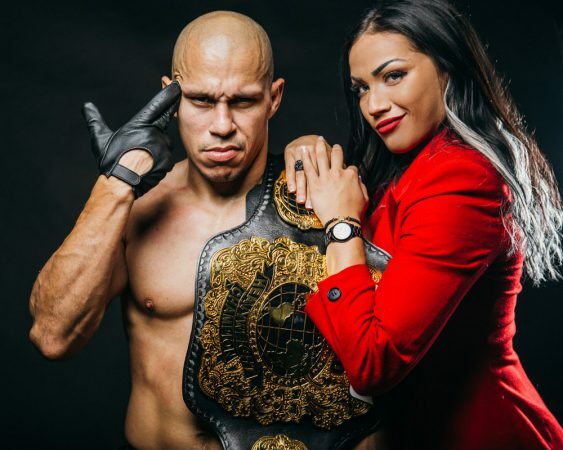 Currently flaunting her talents in Major League Wrestling (MLW), de la Renta’s impressive work outside of the ring actually transpired by accident. A fully trained wrestler (taught by present Executive Vice President of Wrestling Operations of MLW, Mister Saint Laurent), the athlete tore both her ACL and meniscus in her left knee during an otherwise routine leap off the top rope in the midst of an independent match two years ago. Although the painful injury proved to be quite a blow to the blossoming career that de la Renta was carving out for herself at the time, she refused to let the setback define her. “Initially, my injury was one of the worst periods that I ever had to go through in my life,” de la Renta recalled, in an interview with Royal Flush. “But thank God for MLW. I couldn’t have asked for a better Plan B than what I’m doing with them,” she insisted. Still four or five months away from a full recovery, de la Renta is alternately focusing on amassing a stellar stable of stars in her constantly revolving troupe that could certainly be considered a Latin who’s who in MLW, including one-time tag team champions The Lucha Brothers (Pentagon Jr. and Rey Fenix), veteran luchador LA Park, strong-style specialist Ricky Martinez, and former world champion Low Ki, who’s aiming to recapture the belt at the promotion’s next television special, Intimidation Games, airing live from Chicago on Saturday night, March 2. The steel cage bout headlines the loaded card, the latest in a series of events the company is producing for the burgeoning beIN SPORTS network. In addition to the live broadcasts, de la Renta can be seen regularly on the organization’s weekly FUSION series, which recently made a permanent move from Friday evenings to Saturdays at 9pm ET / 6pm PT, a change that she’s fully behind. “I think it’s an upgrade and MLW can only grow on Saturdays,” she opined. 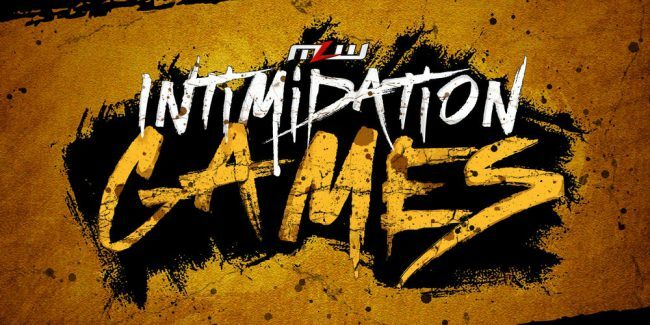 Although the majority of her career has been controversy-free, an incident at MLW’s recent SuperFight special in Philadelphia managed to cause a bit of a stir. During a match between Kotto Brazil and Martinez, Brazil put his hands around de la Renta’s throat in response to her interference on her charge’s behalf. While the spot was planned in advance by the competitors, its sensitive nature, especially in the Me Too environment, resulted in some fans questioning the logic behind it. de la Renta understands the polarizing aspect of the angle. “I know it’s a sensitive topic and I get how it can be seen from both sides,” she commented. “It’s the entertainment business, it’s a show, and it’s art, and it comes in all forms and shapes.” Though the cult favorite Lucha Underground promotion books male/female contests as normal features on its programming, industry-leader World Wrestling Entertainment (WWE) steers clear of the practice. “I don’t regret anything I’ve done in my life but if I was given the option of doing it again in the future, I’d probably stay away from it,” she conceded.